If 2016 was a little unpredictable for interior design trends, 2017 is looking to be a boundary-pushing year for interiors. 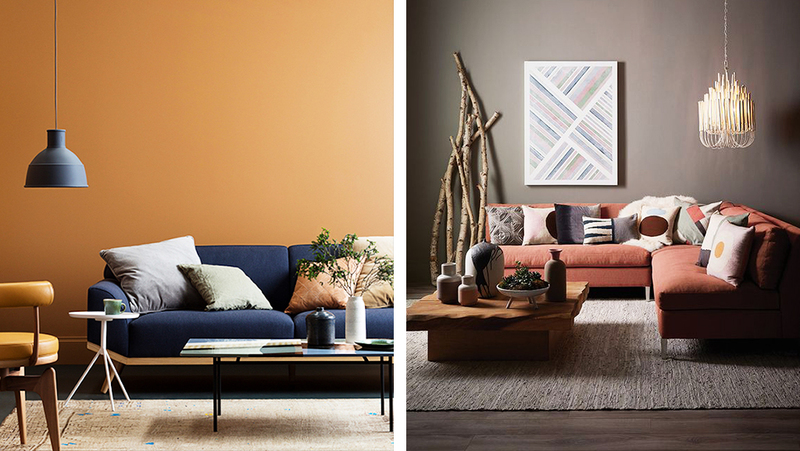 From tech savvy additions to jaw-dropping colors, we’ve compiled a list of trends to be on the lookout for in 2017! Soothing shades of green, purple, and taupe have topped almost every major paint brand’s color forecast for 2017. 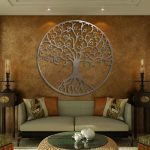 Following the quickly growing health and wellness industry, these soft, calming tones are backed by themes of sustainability, simple living, and spirituality. Also, prepare to bid farewell to boring neutral tones. The new look for walls will be pure drama. Deep jewel tones, like emerald green or amethyst, and pastel colors found in nature are very in this season. Praised it for its “vitality of nature and new beginnings” green has been named the color of the 2017. The more submerged we become in modern life, the greater our innate craving to immerse ourselves in the physical beauty and inherent unity of the natural world. It’s only natural that green has made a massive comeback. The palette of 2017 draws inspiration straight from the landscapes of nature, from a botanical yellow and green to terracotta, apricot, and warm stone gray the colors of the year are all inspired by the soothing and bold colors in nature. The new look for the home is bold, yet subtle without being in-your-face. An appliance or decorative accent with a matte finish works to strip away all other distractions caused by surface sheen, forcing the form of the decorative piece or object to speak for itself. Matte can also add an unexpected finish for objects that are traditionally lustrous or glossy. This suggestive accent helps to inject a wonderful layer to your design, adding depth and composition to counterpoint other finishes. A “cerused” finish refers to the technique that brings out the unique grain of the wood. 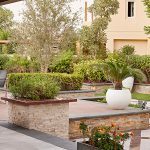 This trend which has been popular in the luxury market for quite some time. However, this year it’s finally trickling down to the mainstream interior design with a universal appeal. This year you’ll see it on cabinets, but also in bigger pieces like tables, chairs, and storage furniture. Nailhead accents have been a classic staple for upholstered pieces, but in 2017 it’s being used in whole new ways. We are seeing this trend go far beyond the usual upholstery, with riveted accents being applied to storage chests, credenzas, headboards and even the base plates of lighting fixtures. Some designers even use nail heads to create dazzling patterns on the piece of furniture. This decorative accent lends an old world charm to any space. All aspects of our daily life are increasingly becoming attached to the Internet of Things. As our lives continue to revolve more around our devices, so will our homes. 2017 will introduce more creative ways of incorporating charging docks and areas specifically devoted to integrating smart devices into the design of a space. We are also starting to see savvy and sleek Bluetooth-enabled home appliances that allow users to customize every aspect of their morning routine. From the strength of their coffee to the tone of their toast, everything can be controlled through a simple smartphone app. We don’t expect this trend to end anytime shortly, and anticipate continuing to see connectivity integrate into our interiors in 2017 and beyond. As the year unfolds, be sure to check back for more up and coming design trends for 2017. Are you interested in updating your interior design? The Milestone design team is on standby ready to help you create your dream interior! What trend are you looking forward to? We look forward to your comments below!